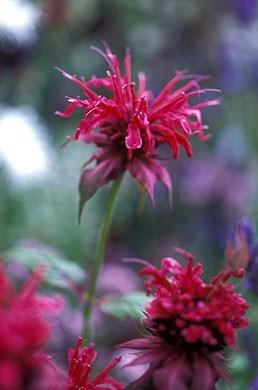 Bergamot. Aromatic foliage. Whorls of curving tubular ragged rich red flowers, July to September. Sun, decent soil. Does not like to dry out. 90cm tall. Loved by bees and butterflies.